Catherine Russell's third studio album, Inside This Heart of Mine, was released on World Village / Harmonia Mundi, on April 13, 2010, featuring tunes by Duke Ellington, Louis Armstrong, Howlin' Wolf, Peggy Lee, Fats Waller, Harold Arlen, Rachelle Garniez, and more. Catherine Russell is one of 13 artists (including Madeleine Peyroux, Diana Krall, Jane Monheit, Esperanza Spalding) who appear on a newly released CD compilation titled The New Jazz Divas, the first installment of NPR's Discover Songs series. Catherine performs "Kitchen Man", a track from her Sentimental Streak album. Catherine Russell's recording of Sam Cooke's "Put Me Down Easy" from her debut album Cat appears on a soon to be released compilation Putumayo Presents: Rhythm and Blues, (along with tracks by Sharon Jones and The Dap Kings, Irma Thomas, James Hunter, and more). The 2010 Grammy Award Winning album by Levon Helm, Electric Dirt, includes a vocal appearance by Catherine Russell on the Billy Taylor tune, "I Wish I Knew How It Would Feel To Be Free". 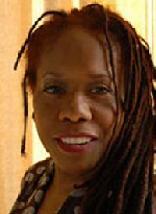 Catherine Russell is a featured artist on the Emmy Award winning WHYY-TV series 'On Canvas'. The episode includes an interview and concert performance at Longwood Gardens and is now streaming on the On Canvas site, where it can be viewed in its entirety. Catherine's second CD was Sentimental Streak, which is the follow-up to her critically-acclaimed debut album Cat. On Sentimental Streak, recorded at Levon Helm Studios in Woodstock, NY and produced by multi-instrumentalist/producer Larry Campbell (Bob Dylan, Levon Helm, Willie Nelson, Ollabelle, Marie Knight), Catherine Russell and her swinging band have distilled the robust, good-time essence of Southern juke joints and lindy-hopping Northern dance halls, where confessing the blues was as good for the soul as getting frisky in the first place. The material, heard in arrangements inspired by Chick Webb, Hoagy Carmichael, Louis Armstrong, Willie Dixon, Frank Sinatra, and Ms. Russell's own father, Luis Russell, and much of it originally associated with legends like Bessie Smith, Alberta Hunter, Nellie Lutcher, Pearl Bailey, Ella Fitzgerald, and Lena Horne, harks back to tales of lusty, big-hearted women who knew what was what and spoke out accordingly. Universal vignettes speak of how little time there is for what really matters, a sensuously unrepentant lady of leisure, a woman lamenting the loss of the culinary (and other!) talents of a departing lover and, memorably, of being caught in the clutches of ruinous vamp named Luci. Guided by the keen touch of Larry Campbell, Ms. Russell's glorious voice once again reigns supreme, making every note count as she lovingly animates fourteen indelible songs with timeless appeal. The critical raves that greeted Cat (2006 -- WV 468063), Russell's debut album on World Village, have understandably raised the bar for this, her sophomore CD. But from track one, it's obvious that this impassioned and versatile vocalist is more than equal to the challenge! Ms. Russell's late father, Luis Russell, was born in Panama and moved to New Orleans, and then New York where he became a famed orchestra leader and Louis Armstrong's longtime musical director. Her mother, Carline Ray, vocalist, bassist, and a graduate of Juliard, has performed with Mary Lou Williams and Wynton Marsalis. Born in New York City, Catherine attended Music And Art High School and graduated with honors from the American Academy Of Dramatic Arts. She has performed and/or recorded with Paul Simon, Steely Dan, Cyndi Lauper, Joan Osborne, Madonna, Jackson Browne, Rosanne Cash, and David Bowie, among others, and participated in several gold-and-platinum selling recordings. Since the release of Cat, Catherine has taken her show-stopping intensity to major events like Tanglewood Jazz Festival, Montreal Jazz Festival, and Chicago Blues Festival, while appearing on the nationally syndicated Tavis Smiley Show on PBS-TV, Mountain Stage Radio Show, and JazzSet on NPR. Cat spent weeks on JazzWeeks national airplay chart while one of its tracks, Back O Town Blues, reached the top Ten on I-Tunes Jazz Chart. Catherine Russell is that rarest of entities -- a genuine jazz and blues singer -- who can sing virtually anything. Her voice is full blown feminity incarnate; a dusky, stalwart and soulful instrument that radiates interpretive power yet remains touchingly vulnerable. She launches fearlessly into each tune, getting inside the melody and capturing every emotion. Whether she's shimmying through a barrel-house stomper, channeling fifties R&B, dragging her weary heart through a torchy juke joint number, or kicking up her heels honky tonk style, Ms. Russell can stand comparison to her greatest forebearers. Talk about pedigree. Catherine Russell's father, pianist Luis Russell, worked with Louis Armstrong and King Oliver back during the Depression. Russell's mother, Carline Ray, played bass with jazz trumpeter Doc Cheatham and took her daughter to shows by luminaries ranging from Betty Carter to Thelonious Monk. All of which is to say that while the likes of Ella Fitzgerald and Bessie Smith might have recorded the classic versions of the songs on this album, Russell has earned the right to sing them too.